EXCEPTIONALLY GRACIOUS! 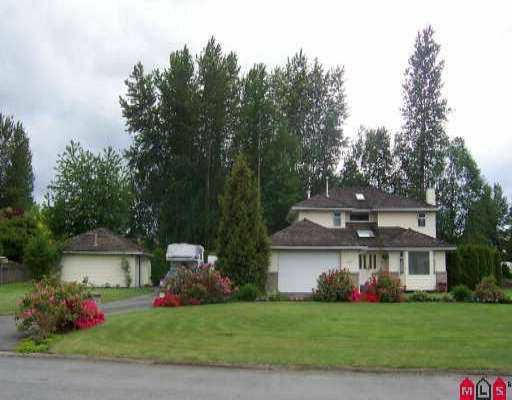 Beautiful & private setting on 1.01 acre lot. 2445sq.f t. 2ST w/crawlspace. 2x6 construction, tons of upgrades, all new paint from ceil ing to basebards. Kitchen renovated July 05-solid cherry cabinets, granite coun tertops, eating bar, phone desk. Patio door from eating area, dining room & family room & patio. Patio off laundry room & walkway to workshop. Brazillian hardwood in living room & dining room, stairs & master bedroom. Lots of ceramic tile & marbl e fireplace, tub surrounds, vanities. 3 skylights, intercom, U/G sprinkler, 50 gallon water tank. Workshop.